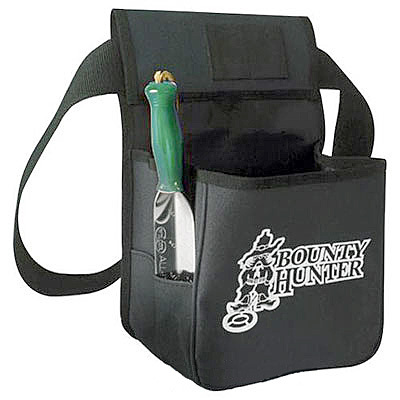 A Bounty Hunter finds pouch and digger will help you to retrieve and secure your newly found treasure. The stainless steel 9 inch heavy-duty digging tool has a comfortable plastic handle and a handy depth gauge. Your finds can then be easily kept in the tough nylon pouch with 2 inch adjustable web belt that contains two large pockets and two side slip-in pockets.